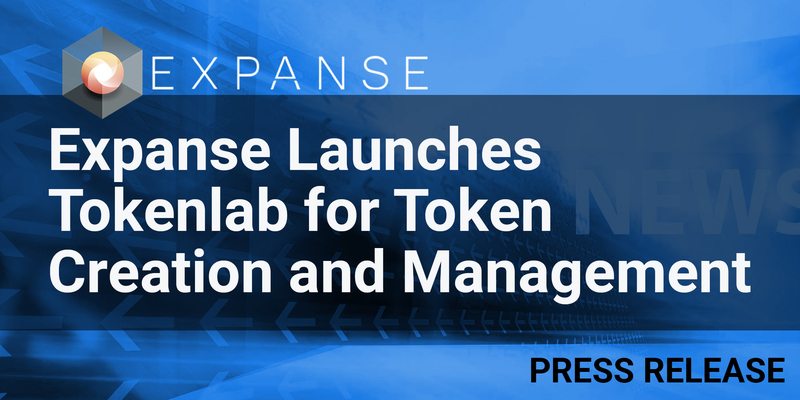 WASHINGTON, NORTH CAROLINA, USA, January 23, 2019 /EINPresswire.com/ — The Expanse.TechTM Project today announced the launch of Tokenlab, a blockchain-based platform that provides tools for token and smart contract creation and management. Expanse is building an ecosystem to support the entire lifecycle of a blockchain-based project, from idea through exchange listing. Using Tokenlab’s self-service features, it takes only about 20 minutes and six easy steps to mint a token. Fees for using the service are paid in the native tokens EXP (Expanse) and LAB (Tokenlab). New to the Tokenlab strategy is a marketplace comprised of dApps created to help developers build their businesses. It’s comprised of useful utilities, including Airdrop, KYC and Crowd Sale management tools. The dApps are accessible via the self-service administration panel. They can also be licensed and launched on other platforms. dApps are added as they are completed. To learn more about Tokenlab, visit our website, https://www.tokenlab.io. Disclaimer: If you have any questions regarding information in this press release please contact the company listed in the press release. Please do not contact EIN Presswire. We will be unable to assist you with your inquiry. EIN Presswire disclaims any content contained in these releases. © 1995-2019 IPD Group, Inc. All Right Reserved.